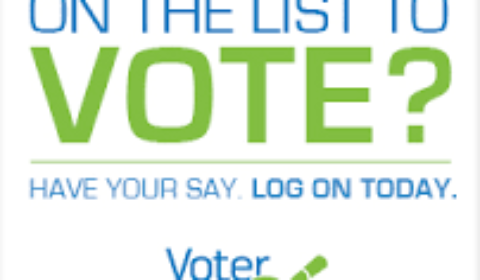 BRACEBRIDGE — Bracebridge residents can now confirm that they are on the voters’ list for the municipal election on October 22, 2018 at www.VoterLookup.ca. Ontario’s election is Thursday, June 7. VoterLookup.ca is an online service developed by the Municipal Property Assessment Corporation (MPAC) to build and maintain information that will be used in preparing the final Voters Lists used across Ontario for the 2018 municipal election. By using VoterLookup.ca, you can confirm your elector eligibility or update your electoral information. Find out ahead of time if you are an eligible elector. Have your say! Log on to www.VoterLookup.ca today.